As I write this, we are in the middle of the season of Epiphany. Epiphany is defined in one place as a “revelatory manifestation of a divine being.” Another definition that struck me is an “immediate and meaningful understanding of something.” An Epiphany of God then is often something that is surprising, sudden, profound, what we might call an “aha” moment. When is the last time you were surprised by something God is doing? When have you most recently had a moment when you had a sudden insight into who God is or what God is up to? The Good News is that God loves us and is always reaching out to us, always present and seeking to reveal God’s self to us. 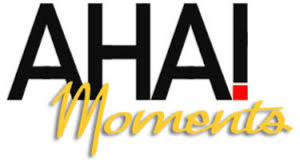 We can have one of these epiphanies, one of these aha moments, if we will stay open and alert to Christ’s presence. We may see God in the words of the Bible in a new way. God may reveal God’s self in a time of prayer or through other people or in a particular experience. Life with God doesn’t have to be the same old, same old (although at times there is comfort in that). Life with God can always be exciting, fresh and new. What do you see God doing around you? It’s my prayer that during this season you will have a fresh epiphany of our loving Lord!